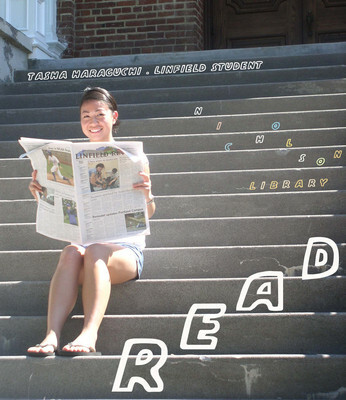 Tasha Haraguchi, Linfield student, reading The Linfield Review. Terry, Paula and Nicholson Library Staff, "Tasha Haraguchi READ Poster" (2008). READ Poster Gallery. Image. Submission 39.